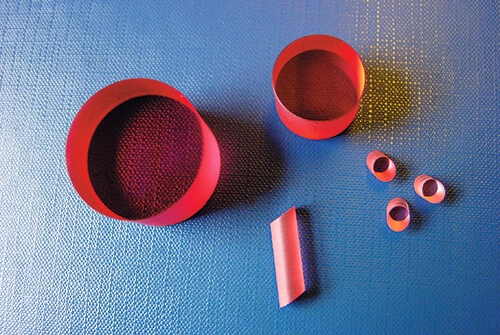 Titanium-doped sapphore crystals combine outstanding physical and optical properties with broadest lasing range. Titanium Sapphire (Al2O3:Ti3+) crystals indefinitely long stability and useful lifetime added to the lasing over entire band of 600-1050 nm challenge "dirty" dyes in variety of applications. Medical laser systems, lidars, laser spectroscopy, direct femtosecond pulse generation by Kerr-type mode-locking - there are a lot of existing and potential applications of Ti:Sapphire crystals. 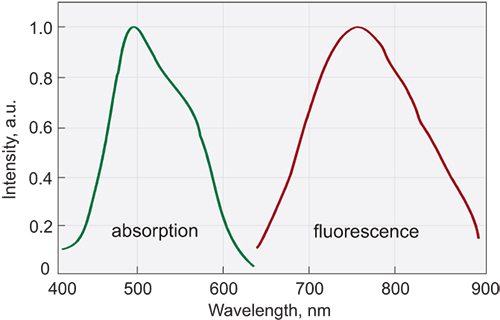 The absorption band of Ti:Sapphire centered at 490 nm makes it suitable for variety of laser pump sources - argon ion, frequency doubled Nd:YAG and YLF, copper vapour lasers. Because of 3.2μm fluorescence lifetime Ti:Sapphire crystals can be effectively pumped by short pulse flashlamps in powerful laser systems.